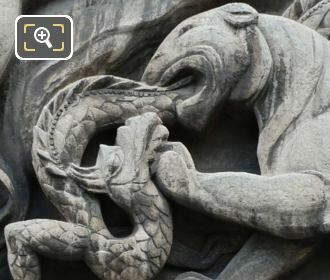 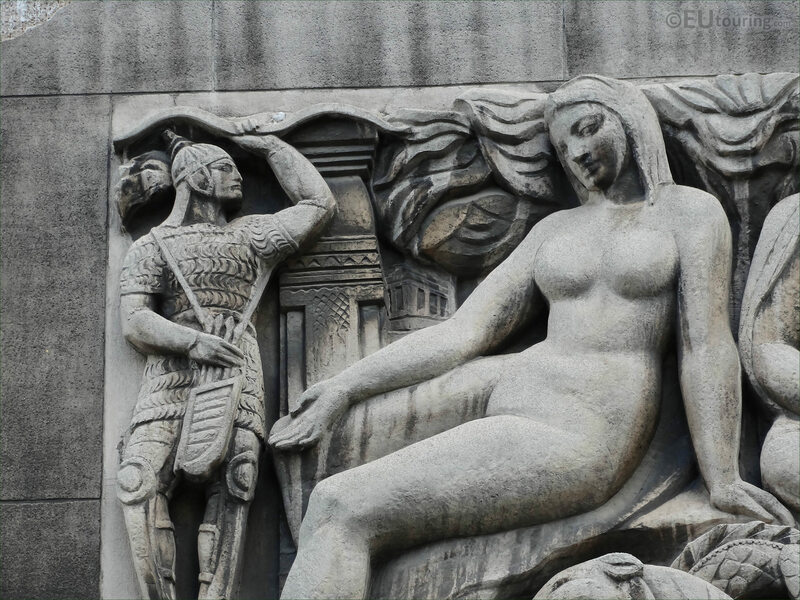 This time we were at the Palais de Chaillot in the 16th Arrondissement of Paris, when we took these high definition photos showing a bas relief sculpture called Asia, which was sculpted by Georges Saupique. 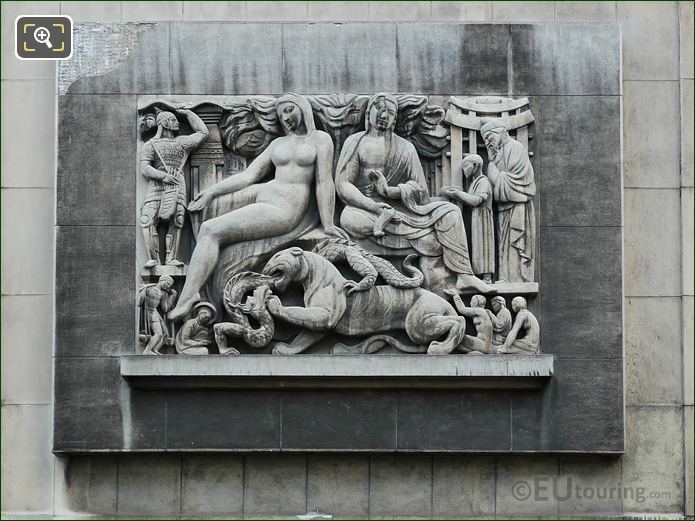 Here you can see a stone bas relief sculpture, which is an allegory depicting Asia, that was produced for the facade of the Palais de Chaillot when this was constructed for the 1937 Universal exhibition in Paris. It has been placed on the wing nearest the Cimetiere de Passy, and this section of the palace holds the Musee de la Marine and the Musee de l'Homme, but to be even more precise, this is on the facade in the north western section of the famous tourist attraction in Paris called the Jardins du Trocadero. 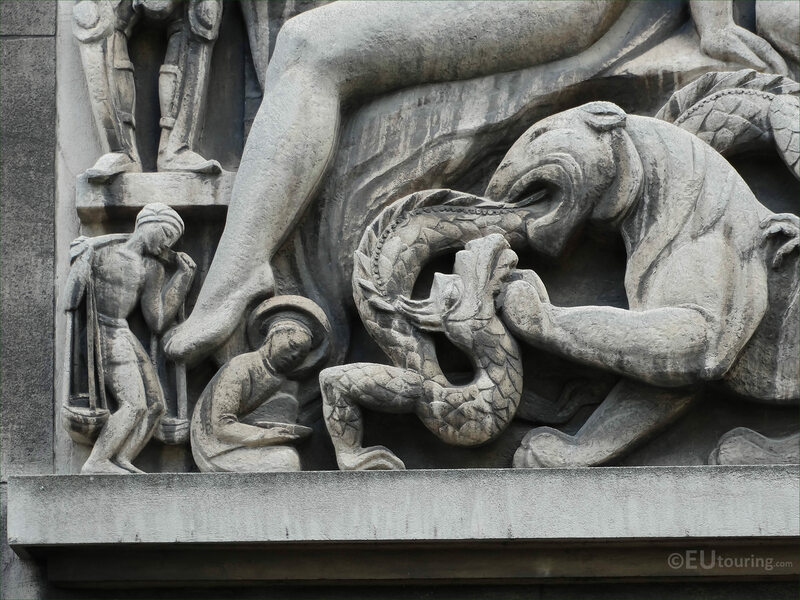 This next photo shows some of the detailing on the Asia sculpture including a tiger biting into a lizard, a man carrying water and a lady crouched holding a bowl, which was sculpted by Georges Saupique who was born in Paris in 1889. 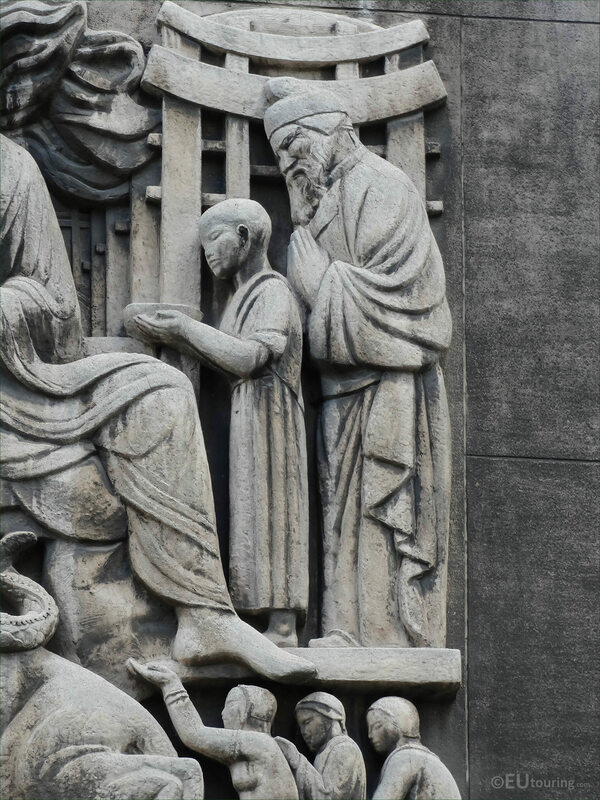 Georges Saupique studied at the Lycee henri IV and then at the Ecole des Beaux Arts and eventually became a professor there, but it was not until 1922 that he started exhibiting works at the Paris Salons and became recognised as an Orientalist sculptor, who was commissioned for numerous different projects. Several of the works by Georges Saupique can be found on facades of buildings in Paris in the form of bas reliefs, such as this allegorical statue of Asia, and others of animals on the Rue Pasquier. Yet he was also commissioned for war memorials, plus he sculpted and produced numerous religious statues including biblical characters and saints for many churches throughout France, having a long and prolific career that continued right through to 1961, which is the year Georges Saupique passed away.